When a freezer is broken down, those who rely on that freezer need to figure out what they will do with their food while they wait for it to get fixed. No one wants to spend days waiting to figure out what their freezer problem is or how they can get the right kind of freezer repair help. We are available to assist those who have a freezer that is not working properly. We can help out those who have a freezer that has quit on them. 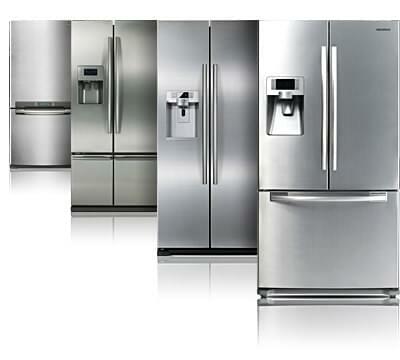 Rely on Service Masters Appliance for help with all kinds of freezer repair needs. It is important that the issues that a freezer has are dealt with by those who know all about freezers and who will be able to bring about a solution that will last. We know how to look at a freezer and figure out what the problem is. We know how to step in and take care of the issue and get the freezer running again. Our team has been properly trained to take care of all of the problems that a freezer can face. When someone is looking to have their freezer repaired, they want help from someone who will be there for them right away. The sooner that a freezer is repaired, the better shape the food will be in when it is placed back into that freezer. We are available to help out those who are seeking help with their freezer right away. We can be trusted to fix a freezer in good timing. It is smart for a person to see if there are repairs that can be made to help keep them from replacing their whole freezer. Those who do not have the kind of money that it takes to buy a new freezer should figure out if they can simply repair their current one and if they can find someone who will repair it for a good price. We keep our costs affordable as we handle the repair needs of freezer owners. Service Masters Appliance is available to help out those who have a freezer in need of care. We can be contacted at 310-477-0670.